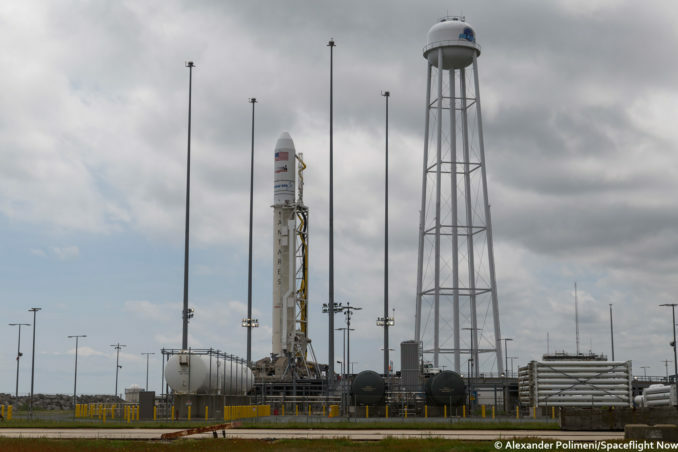 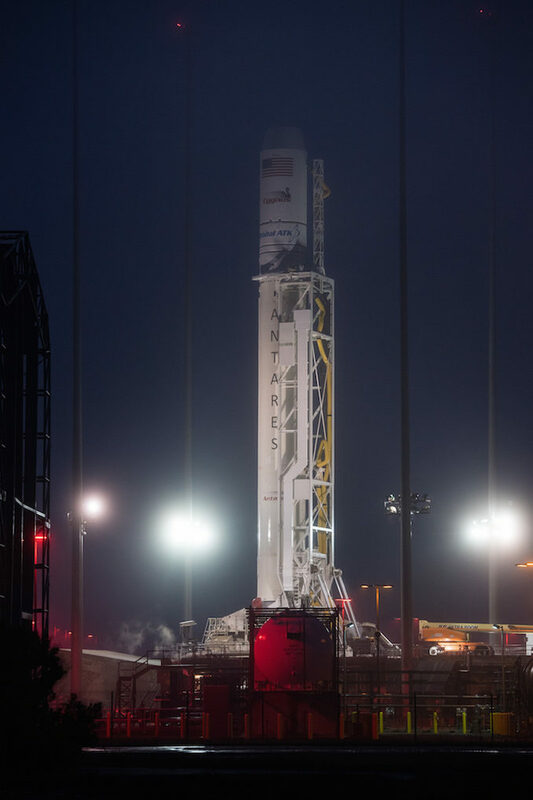 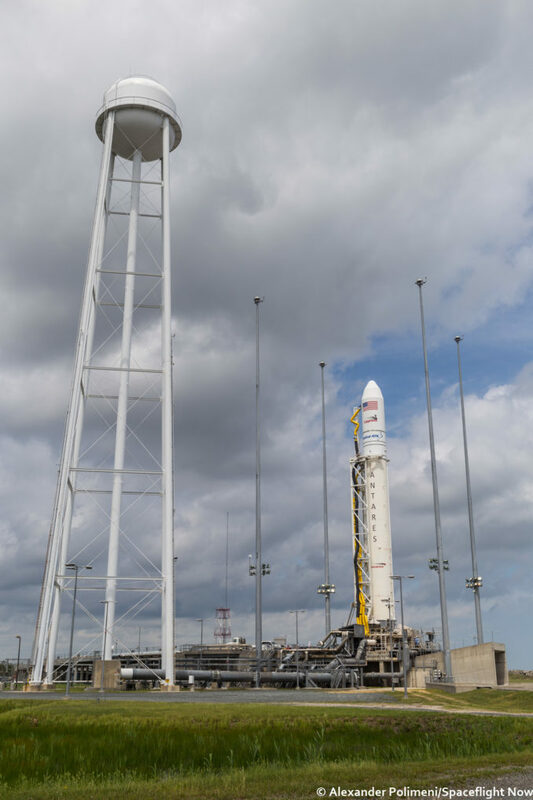 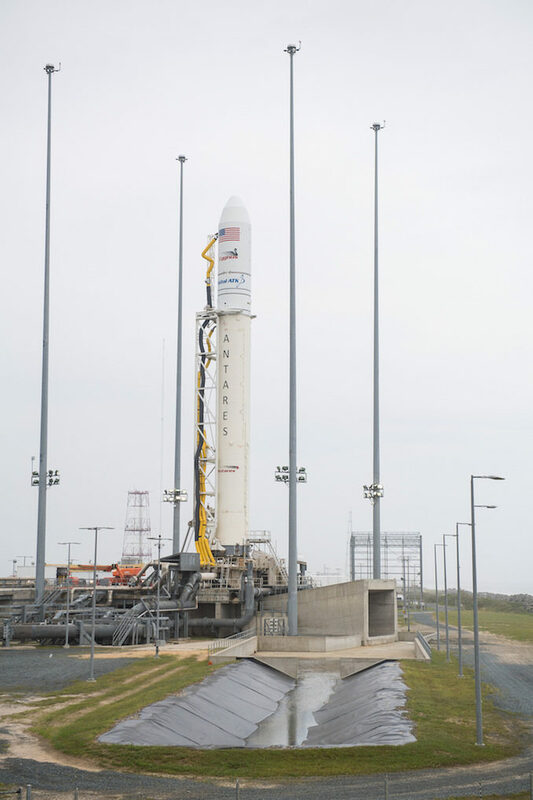 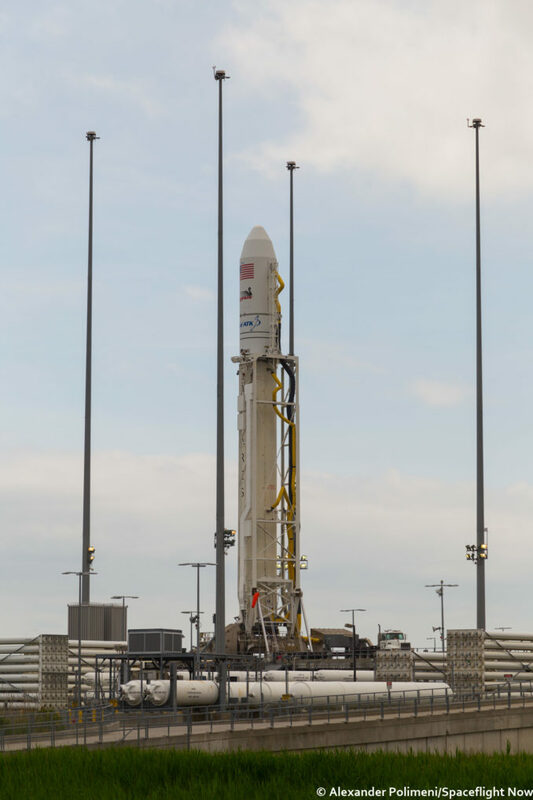 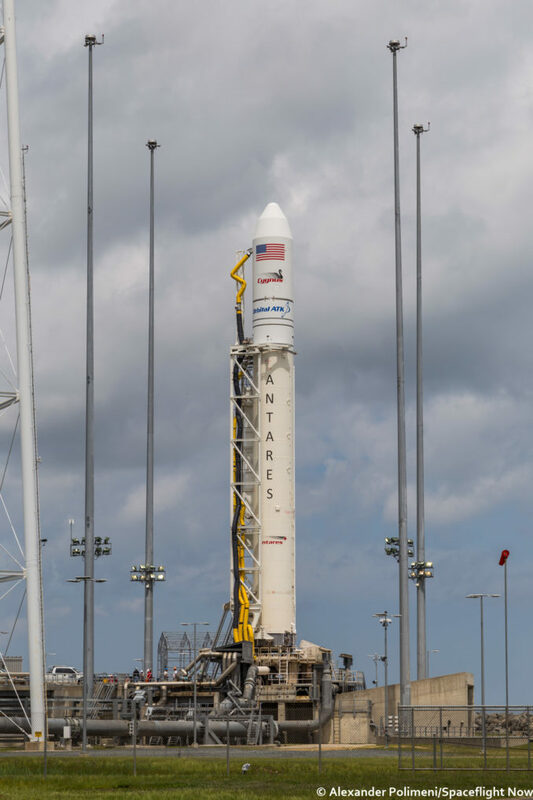 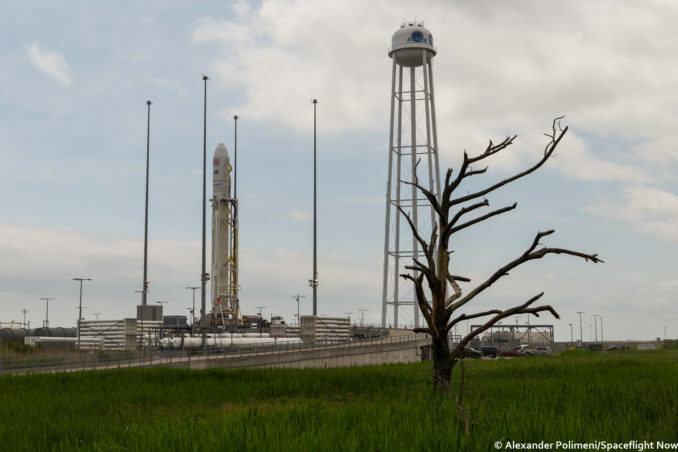 A 139-foot-tall (42.5-meter) Antares rocket is slated for a predawn launch Monday from the Mid-Atlantic Regional Spaceport on Virginia’s Eastern Shore, carrying a Cygnus supply ship heading for the International Space Station. 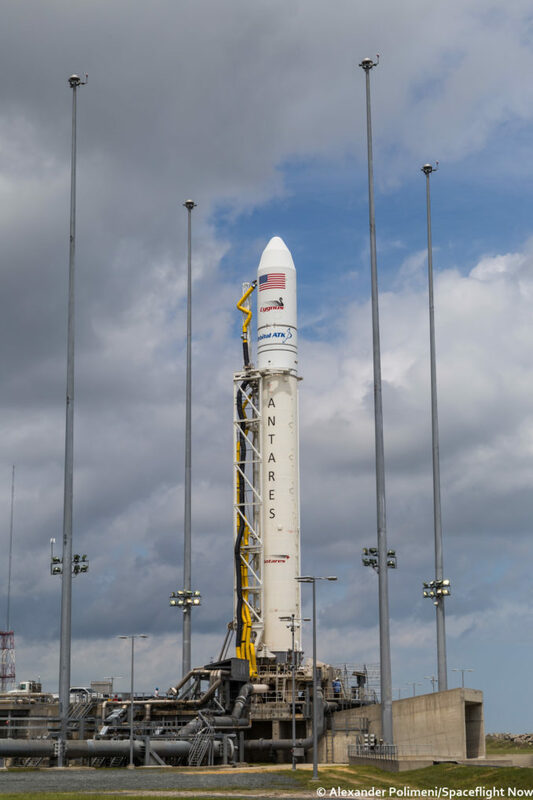 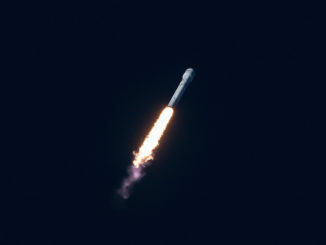 The two-stage commercial rocket and cargo carrier, developed and operated by Orbital ATK, will haul 7,385 pounds (3,350 kilograms) of supplies, experiments and hardware to the space station’s six-person crew. 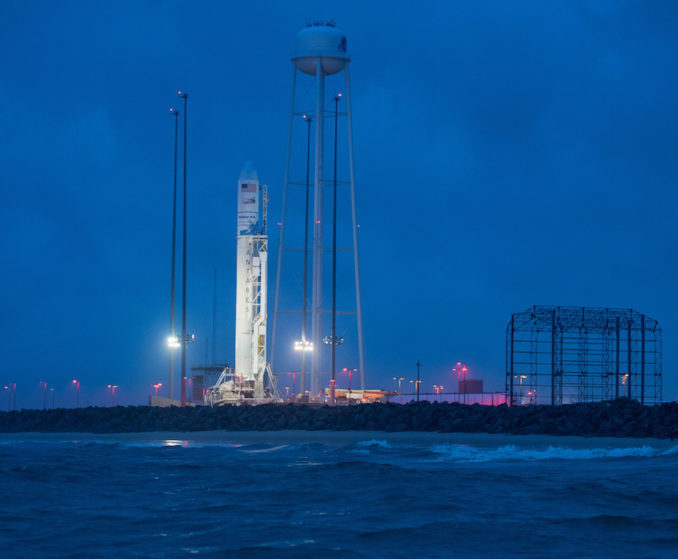 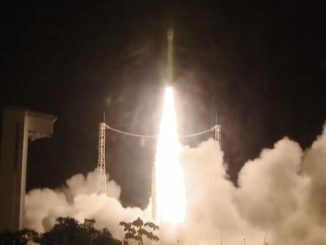 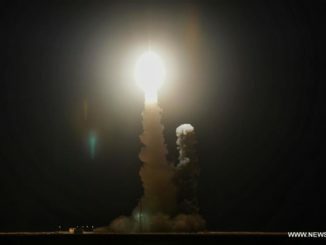 Liftoff is scheduled for 4:39 a.m. EDT (0839 GMT) Monday from pad 0A at the spaceport located on Wallops Island, Virginia. 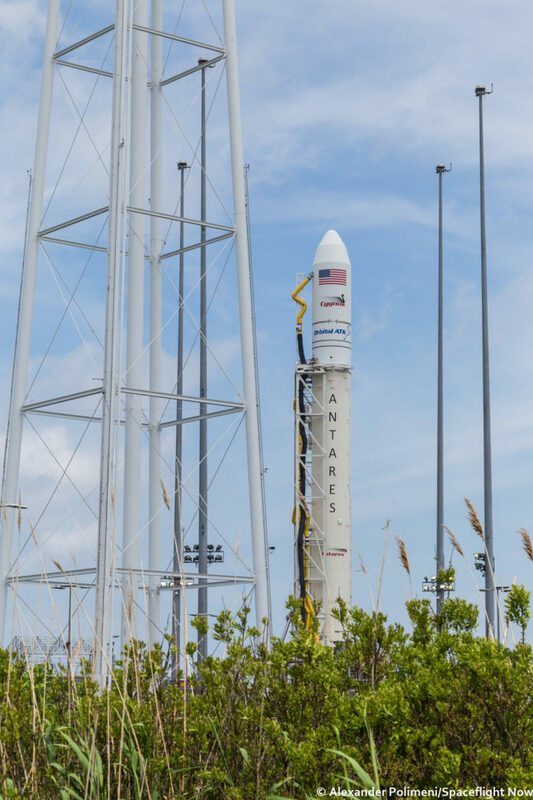 It will be Orbital ATK’s ninth operational resupply launch to the space station, the eighth flight of an Antares rocket, and the third mission using the company’s latest Antares launcher configuration with new RD-181 main engines. 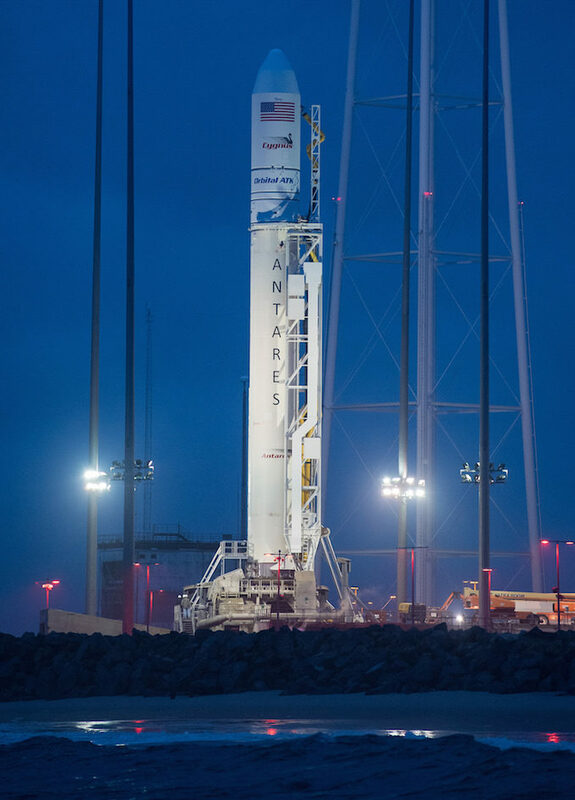 See our Mission Status Center for details on the resupply flight.